Roxanna Elden is one of our favorite authors. We met her in a class at Miami Dade College where we were teaching. From the very first time she raised her hand and opened her mouth, we knew she was something special. One of the consistent things we’ve found in our years of teaching and doing Pitchapaloozas is that teachers make the best public speakers. Anybody who can wrangle a class full of kids and live to tell the tale is prepared for anything. 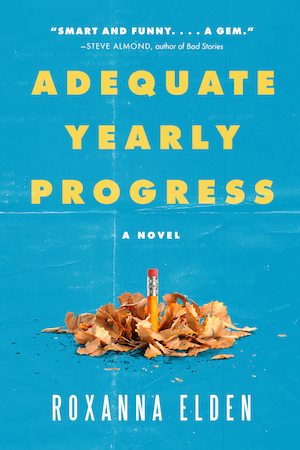 With the publication of her debut novel, Adequate Yearly Progress, we thought we’d check in with Roxana and see what it was like to go from nonfiction to novel, from novice to fighting-sophomore-slump author, from wide-eyed debutante to grizzled veteran. The Book Doctors: Congratulations on your debut novel. Tell us about Adequate Yearly Progress. TBD: Your first book, See Me After Class: Advice for Teachers by Teachers, was non-fiction. Is it different taking your experience as a teacher and writing fiction instead of nonfiction? RE: I started writing See Me After Class during my sister’s first year as a teacher. The specific goal of that book was to help teachers make it through their first years with a mix of humor, honesty, and practical advice. As an unexpected side effect of trying to spread the word about the book, I ended up in situations I might not otherwise have seen as a classroom teacher: Silicon Valley ed-entrepreneur conferences, television panels, and schools around the country where I got to talk to thousands of fellow educators. During all this, I was still spending most of my time doing daily high school teacher things, like grading essays and watching students play with their phones underneath their desks. It felt like there had to be a way to capture this panoramic view of the education world, with all its colliding ideas and interest groups, and how all of this played out at the school level. A novel told from many different points of view turned out to be my best answer. TBD: Tell us how you used the Miami Writers Institute to find an agent and start your publishing career. RE: The idea for my first book hit me in 2005. This also happened to be the first year of the Miami Writers Institute, which brings well-known authors and publishing industry people to Miami. The first class I ever took was The Book Doctors’ course on the process of getting a book published. That class provided a roadmap through the whole process of finding an agent and publisher for the book that became See Me After Class. Over the following years, I went on to write a children’s book and, most recently, a novel. I also continued to take classes at the Miami Writers Institute every year, and found that each year’s class corresponded to specific events in my writing life. Recently, I distilled the notes from the classes and the lessons learned from twelve years as an author into a twelve-day email series. The result is part creative writing crash course, part mobile-friendly memoir of what it takes to build a writing career. TBD: What did you learn as a teacher that helped you in your publishing career? RE: Teaching builds the type of thick skin that helps in the writing world. Agents and editors might not return your emails, but at least they don’t fall asleep on their desks right in front of you. As an English teacher, I also taught a lot of the skills that improve writing at any level. Constantly discussing the qualities of good writing helped in writing the book. And writing the book made me feel like the advice I’d been repeating to students actually worked outside of the classroom. TBD: Do you approach promoting and marketing fiction differently then nonfiction? RE: The common wisdom about marketing nonfiction books is that they should have a specific target audience. Literary fiction is expected to have a wider appeal, with authors that seemingly rise from the ether as debut talent. Adequate Yearly Progress, however, always felt like it was somewhere in between. My goal was to write a page-turning story that anyone would enjoy, but it was especially important to me that all the details rang true to teachers. The audience for my first book also included many teachers frustrated by Hollywood versions of the profession, which made it a natural fit to spread the word to teachers first. Their enthusiasm has helped spread the word about the book to a wider audience. TBD: How did you get such great blurbs? RE: I was thrilled to have a front cover blurb from Steve Almond for Adequate Yearly Progress, and from Dave Barry for See Me After Class. Additionally, there have been some great recent write-ups for Adequate Yearly Progress, including in The Washington Post and Forbes. The most helpful takeaway from all of these experiences is less of a specific trick and more of a general mindset: most authors are our own publicists most of the time. We might as well take the job seriously. If you were paying a professional publicist upwards of $5K a month to represent you, you’d want them to at least try to approach some of your favorite authors and publications. If you do this yourself over time, you’ll get better at the job. And hopefully, you’ll get a few lucky breaks along the way. TBD: Tell us about the comedian you’ve been following who interviews behavioral scientists wherever he goes. RE: About halfway through writing the novel, I stumbled on a podcast called Here We Are, in which stand-up comic Shane Mauss interviews behavioral scientists in each of the cities on his comedy tours. One of my biggest goals while writing AYP was to make sure the characters rang true as people, and the scientists on Here We Are provided a constant stream of insight into why humans do what we do. Many of these insights found their way into the novel. Naturally, I was pretty thrilled to have a chance to do an episode of the Here We Are podcast about Adequate Yearly Progress. This ended up being one of the funniest conversations I’ve ever had about teacher movies. It also reinforced my theory that teachers and stand-up comics have a lot in common. TBD: We hate to ask you this, but what advice do you have for writers? And teachers for that matter? RE: As a writer, you try 100 things and only two of them work. It’s tempting to wish you could go back and skip the other 98 attempts. But the truth is, it’s notjust the two things that worked. It’s the fact that you tried 100 things, learning along the way, laying the tracks as you drove the train. That’s probably good advice for teachers, too. Your trial-and-error efforts add up over time. 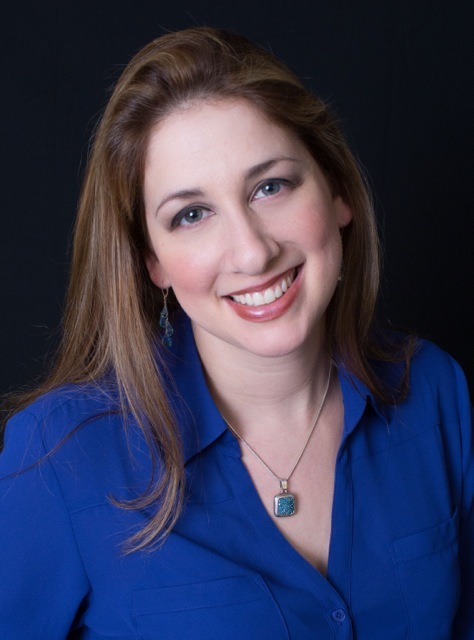 Roxanna Elden combines eleven years of experience as a public school teacher with a decade of speaking to audiences around the country about education issues. Her first book, See Me After Class, is a staple in school districts and educator training programs, and her work has been featured on NPR as well as in the New York Times, the Washington Post, the Atlantic, Education Week, and many other outlets. 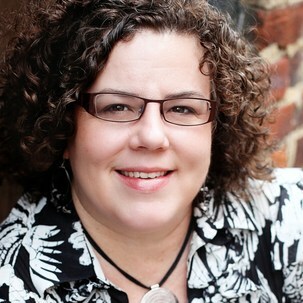 You can learn more about her work at www.roxannaelden.com. Get publishing tips delivered to your inbox every month. We first met Roxanna Elden at Miami Dade College where we were teaching a class on publishing. From the second she opened her mouth (which she did frequently) it was obvious she was a published author waiting to happen. She asked so many questions. And they were good questions. She was funny, she was engaged, and she had a great idea for a book. In fact, after many trials and tribulations, she got that book published, and now she has a second book coming out. So we thought we’d check in on her and see how the process went. The Book Doctors: After the success of your first book, See Me After Class, what made you want to write a picture book for kids? Roxanna Elden: The idea came from watching my dog, Rudy, as he adjusted to having a new baby human in the house. Like a lot of dogs, Rudy was the “baby” of our family before we had kids. Ever since, he’s had to deal with all kinds of indignities–pulled ears, missed walks, and lots of interruptions to his couch naps. And, of course, he has had to learn to share the spotlight. A little after Rudy’s first new human was born, I was suffering pangs of “pet parent guilt,” and called my friend, Ginger. She already had two kids at the time, and she noted the similarities between Rudy’s situation and what older siblings go through when a baby comes along. She also just happens to be one of the Chicago-land area’s top illustrators. By the end of that conversation we had a book in the works. TBD: Since your first book was nonfiction, did you have to find a new agent, develop new social media outlets, or find a new publisher? RE: Same agent: magnificent Rita Rosenkranz. New publisher: marvelous Sky Pony Press. There is a bit of crossover from the audience of See Me After Class, because some elementary teachers have told me that they’re reading the book with their students, and high school writing teachers sometimes do picture book projects. And, of course, lots of teachers are moms and dads and dog lovers. We are in the process of posting lesson materials on a popular lesson-sharing site called Teachers Pay Teachers. Despite the name of the site, everything in Rudy the Dog’s “store” will be free. TBD: Obviously your two books are in very different categories, but what did you learn from your first book that you were able to apply to this new book? RE: The whole publishing process, from pitching the book to working with editors to looking for ways to connect with readers, was actually similar for both books. The Essential Guide to Getting Your Book Published was my road map through the process the first time, saving me years of trial and error. For this book, I reread the sections I needed to review and also ordered a copy for Ginger. The main lesson I learned from my first publishing experience is that marketing a book is (a) ongoing, and (b) unpredictable. With See Me After Class, I’ve done hundreds of different things over the past ten years to get the book into the hands of teachers who would love and benefit from it. These efforts ranged from epic to tiny, and the results ranged from total wash to big break. There hasn’t been a recognizable pattern. For authors, if you do 100 things and only 6 pay off, the temptation is to wish you could have saved the time of doing the other 94 things. But it’s important to remember that what “worked” wasn’t the six lucky breaks you got. It was the fact that you tried 100 different approaches. TBD: How did you go about getting your book deal for your new book? RE: Our agent, Rita Rosenkranz, showed it to Jenny Pierson at Sky Pony, and she made an offer on it immediately. Having gone through the publishing process already, I knew this was pretty rare. We all had a conversation and by the end of it, Ginger and I both agreed that Sky Pony would be a great fit for the book. TBD: How are you planning to promote and market this book? RE: We have a website, www.rudythedog.net, where people can sign up to have Rudy send birthday cards to their favorite little humans and pet birthday cards to their pets. Also, because Rudy the canine-narrator is based on my real-life dog, we made a stamp out of Rudy’s paw so he can “paw-tograph” books at book signings. We’ve authorized kids in six different cities to be paw-thorized paw-tograhers. They have a stamp and a notarized letter that lets them sign copies on behalf of Rudy. And I spend more time than I’d like to admit thinking of dog-related puns. TBD: Have you learned anything about picture books from being a teacher? RE: No one knows better than teachers how important it is to read to kids as often and as early as possible. I’m hoping that as both a teacher and children’s book author, I can find creative ways to help more parents read to their children in ways that encourage a love of books and develop early reading skills. We’ve already put a reading guide on the website that describe some skills any adult can help kids develop, and we’re working on more materials now. TBD: What was it like working with an illustrator? RE: In most cases, the publisher buys the book and then chooses the illustrator, so our experience is unusual, but in this case I pitched the book as a team with illustrator, Ginger Seehafer. The two of us are longtime friends–we met about 20 years ago as the only female caricature artists at a Six Flags theme park. That was the end of my career as an artist, but Ginger went on to become a top professional illustrator, doing work for big companies like Glade, Tropicana, and Hotels.com, all the way down to small companies just getting started. She had done my sample cover art when I was pitching See Me After Class, so I knew how good she was at turning verbal ideas into pictures without losing anything in translation. While discussing the book, we kicked ideas back and forth in both text and visual form until we came up with a final product. My description or text might spark an idea for Ginger, or she might send a picture that gave me an idea for a line in the book. TBD: How did you determine how much text and how much picture would be on every page? RE: We have a pretty good sample size of kids in the 2-6 year old age range, so for early drafts we just thought about what they would understand. Then we worked with the editors at Sky Pony, Jenny Pierson and Julie Matysik, who had experience with children’s books and helped get the book into its final form. 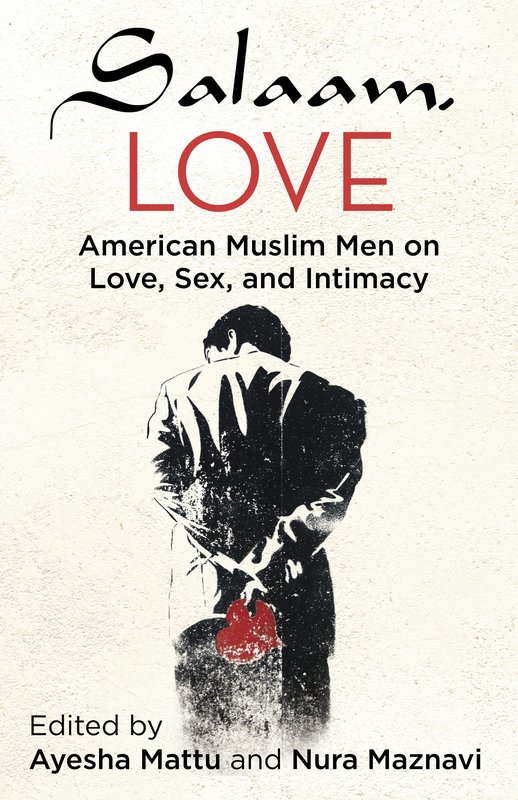 TBD: What you want readers to take away from this book? RE: We hope it will help older siblings adjust to having a new baby in the house–and reassure them that it’s okay to have mixed feelings about sharing attention with another little human. (From what I’ve heard, I was horrible when my sister was born, and now we are best friends.) We also want to calm the nerves of new parents whose dogs used to be the baby of the family and who are now experiencing “pet parent guilt” as they find themselves juggling vet and pediatrician visits, dog feeding and baby feeding, and yeah… maybe have forgotten to clip the dog’s nails for a while, okay? TBD: We hate to ask you this, but what advice do you have for picture book writers? RE: Young children read books differently than adults do. Adults form a mental picture of the action as they read the words. Kids mostly look at the pictures while someone reads the words aloud to them, so the picture has to tell part of the story. Ginger and I learned this the hard way. There was a page in the book where we had put an exclamation point over Rudy’s head to show that he was surprised. In the first round of comments, the editors pointed out that punctuation marks don’t mean anything to kids who can’t read yet. 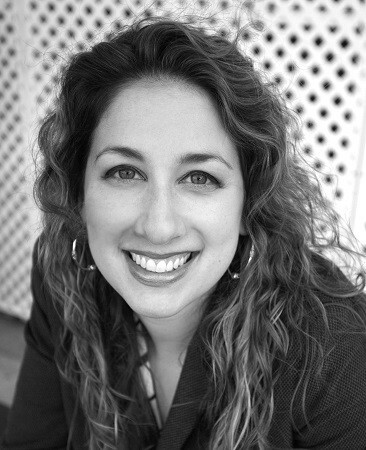 Roxanna Elden has been a teacher for eleven years and is the author of See Me After Class: Advice for Teachers by Teachers. Her inspiration for Rudy’s New Human came from watching her dog, Rudy Elden, as he adjusted to having a new baby human in the house. She lives in Miami, Florida, with Rudy and his (now two!) little humans. concept artist in the Chicagoland area. She studied at the American Academy of Art and started her art career as a caricature artist at Six Flags Great America. Ginger loves making art that inspires joy and creativity, especially in children who may become future artists themselves. She lives with her husband, two little humans, and two cats in Roselle, Illinois. Rudy Elden has been a professional dog for eight years and is making his literary debut as the canine narrator of Rudy’s New Human. He likes lunchmeat, cheese, long naps, and medium-length walks. Yes! Look, you can’t call up HarperCollins and say, “Hello! I’ve written a great book, could I please speak to Mr. Harper or Mr. Collins?” If you’re an unknown quantity, and you aren’t sleeping with someone at a literary agency–or even if you are, in some cases–it’s virtually impossible to get face time with a publishing professional, be it an agent, editor, or publisher. Your blind query is usually dropped with a plop into the slop of the dreaded and aptly named slush pile, where it is then skimmed over by an eighteen-year-old unpaid intern. The fate of your book, the object of your passion and hard work, is frightfully beyond your control. Luckily, at the best writers conferences and workshops, and even some of the top-drawer bookfairs and festivals, you can personally meet, speak with, and sometimes even pitch to real publishing professionals. We know. We’ve met amazing writers at all of these places and helped them get book deals. 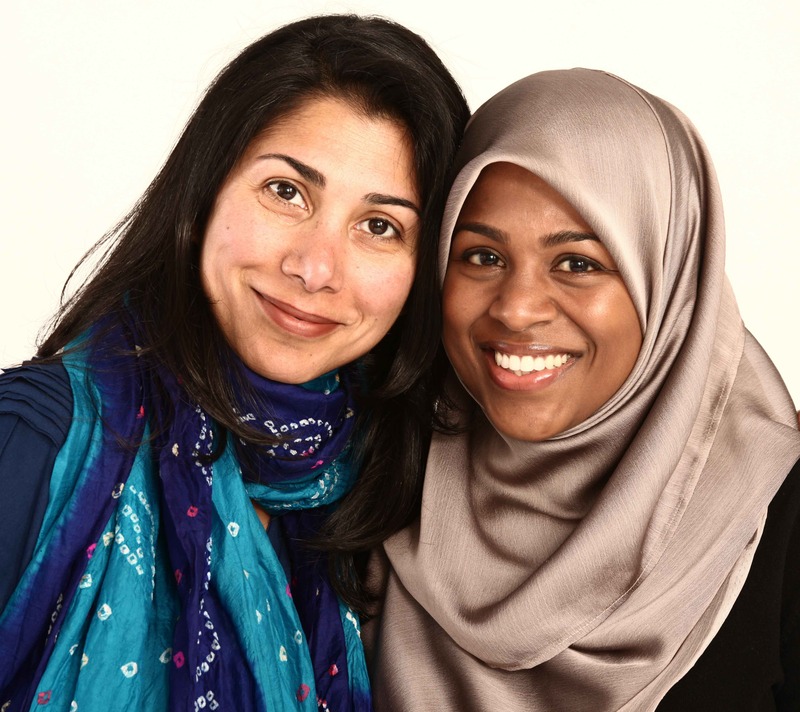 Roxanna, Nura, and Ayesha knew they needed to get in front of professionals. Roxanna signed up for Miami Writers Institute, an annual conference at Miami Dade College. There, she attended a talk by agent Rita Rosenkranz. “By this time, I had perfected my pitch and built my platform and had some idea of what I hoped to find in an agent. 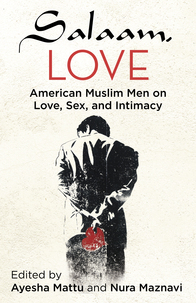 Then, in her talk, Rita mentioned that many agents wrongly ignore books for niche markets, which my first book was. She also said she was looking for authors who showed the willingness to hustle to promote their work. Everything she said made her seem like an incredibly good fit for my work. I walked up to her after the talk, handed her my card, and emailed her as fast as I could. 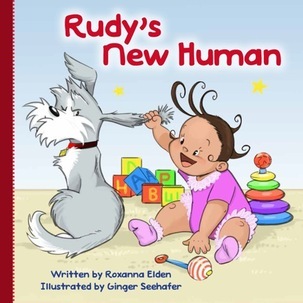 She answered my email within 24 hours… and still does!” Rita went on to sell not only Roxanna’s first book, See Me After Class, but also her children’s picture book, Rudy’s New Human. But just attending a writers conference, workshop, or book festival is no guarantee of a book deal. How you present yourself (and to whom) matters as much as your idea and your book. You have to pick the right agent or editor. Present yourself as a complete package. Seize every opportunity at just the right moment. We agree. Here are our top ten tips for scoring at a writers conference, workshop, or bookfair. Look good, smell good, and don’t be late. Pretend you’re a guest on The Today Show–act and dress accordingly. Be respectful of publishing professionals. Don’t just blast over and bombard them. Be patient, wait for your opening. Never pitch your book unless they ask you to, and if they do, don’t go longer than a minute. And please, we beg you, don’t follow them into the bathroom! This has happened to us more times than we care to remember. Listen more than you talk. Your goal should not be to pitch at all costs. Better to have a good conversation where you get to know an editor or agent. Research! Make sure the event caters to the kind of book you’re selling. Make note of who is presenting, and plan your approach for whom you want to meet. Sign up early. The most valuable conferences, classes, and one-on-one sessions fill up fast. How do you get to perform at Carnegie Hall? Practice, practice, practice. The same is true with pitching books. Workshop your pitch whenever possible. Tell everybody who will listen, honing your delivery so the pitch lasts less than a minute. Try rehearsing with other conference attendees. All this extra effort will have a make-or-break effect on an agent or editor. Have an excellent business card and don’t be afraid to use it. Collect as many cards as you can. After the event, follow up all leads as quickly as possible. Early birds strike while the iron is hot. Network! Meet as many fellow writers as possible. These encounters can blossom into all sorts of relationships. You never know who will be published one day. Buy books written by people you want to approach. Ask them to sign the book for you if they are willing. Use this as an informal opportunity to make a connection. Connect! Do something nice for booksellers, agents, editors, writers, and publishing professionals using social media. If done actively and appropriately, tweeting, facebooking, instagramming, and blogging are great ways of staying in touch and making yourself a known quantity. The Book Doctors travel across America to feature in writers workshops, conferences, bookfairs, and festivals. On February 13th, we’re holding a conference and Pitchapalooza at one of the greatest bookstores in the country, Changing Hands. If you are in the Phoenix area, come hang out, polish your skills, and maybe take a selfie with us. But please, don’t follow us into the bathroom. To read this article on the Huffington Post, click here. Lana Krumwiede began her writing career by creating stories and poems for publications such as Highlights, High Five, Spider, Babybug, The Friend, and Chicken Soup for the Child’s Soul. Her first novel, Freakling (Candlewick, 2012) was named a finalist for SCBWI’s Crystal Kite Member’s Choice Award and an honor book for the International Reading Association’s Intermediate Fiction Award. Freakling was followed by two more novels, Archon (2013) and True Son (2015). 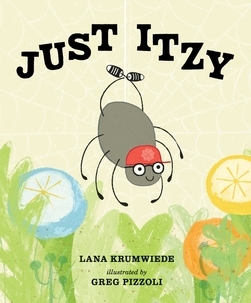 Lana is also the author of the picture book Just Itzy (2015). She lives with her husband and daughter in Richmond, where she sits on the board of directors for James River Writers and runs a local writers’ group. Ayesha Mattu is a writer, editor and international development consultant who has worked in the field of women’s human rights since 1998. She was selected a ‘Muslim Leader of Tomorrow’ by the UN Alliance of Civilizations & the ASMA Society and has served on the boards of IDEX, the Women’s Funding Network, and World Pulse. Ayesha is an alumna of Voices of Our Nations writers’ workshop and a member of the San Francisco Writers’ Grotto. Nura Maznavi is an attorney, writer, and Fulbright Scholar. She has worked with migrant workers in Sri Lanka, on behalf of prisoners in California, and with a national legal advocacy organization leading a program to end racial and religious profiling. She lives in Chicago.